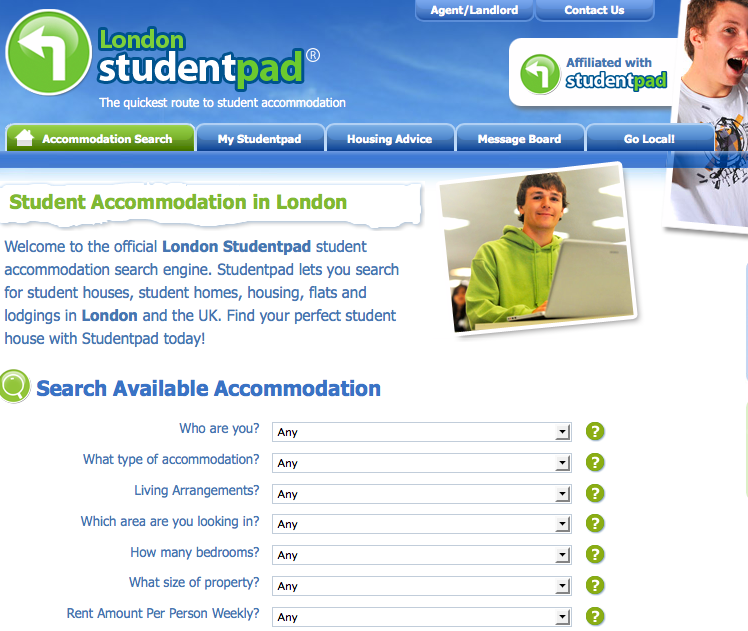 London Studentpad is a student accommodation search engine that helps students find the best accommodation solution for student houses, flats and lodgings in London and the UK. It’s free and easy to use, and offers loads of great functions like tips and advice sections and message boards where you can chat to likeminded students. However, good luck when needing to contact them in a hurry, as there is no phone number listed. London Studentpad is great for those looking for their first time property to rent. For many students, it may seem daunting looking for a property without their parents. However, with a friendly and easy to use website with loads of helpful links with tips, advice and facts – the stress can be taken away completely.